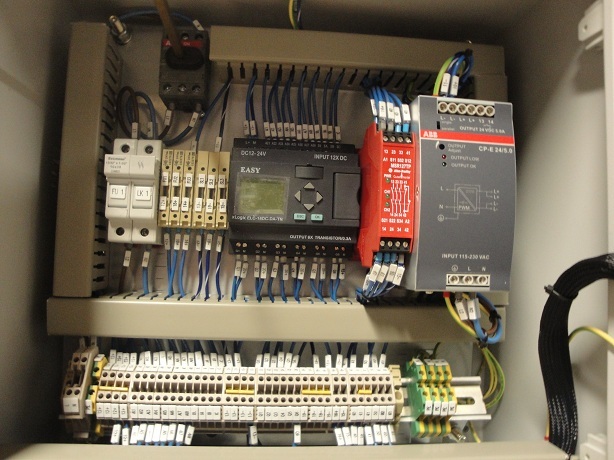 We’ve again helped out a well respected supplier of glue, adhesive and fluid dispensing systems with an Oil Dispensing Duty Standby Pump Control Panel. 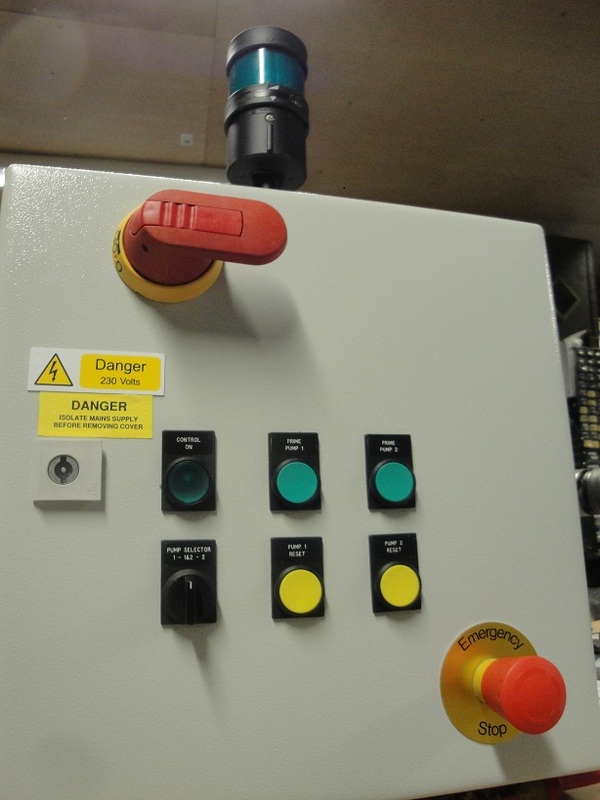 The Control Panel that we designed and manufactured had to be small in size due to mounting limitations was required to ensure that oil was always present at the relevant production line points and able to be dispensed as and when required during product manufacture. The PLC or should I say programmable relay that we used was from Audon Electronics and was an EASY xLogic ELC-18DC-DA-TN type with 12-24V DC input voltage. This type of programmable relay is programmed using simple function blocks which enabled the system to be up and running in no time at all. Also the simulation mode that’s present within the software enables significant testing to be done in the office prior to visiting site and uploading the software to the relay via the USB cable for final commissioning. We found the xLogic ELC-18, like the ELC-12, to be an ideal product for the Duty Standby Pump Control Panel and for smaller controls application, and its low unit price as well as the free programming software made it a real no brainer. If you’re looking for a Duty Standby Pump Control Panel or are considering a programmable relay application using any of the following as we’re sure to be able to help!